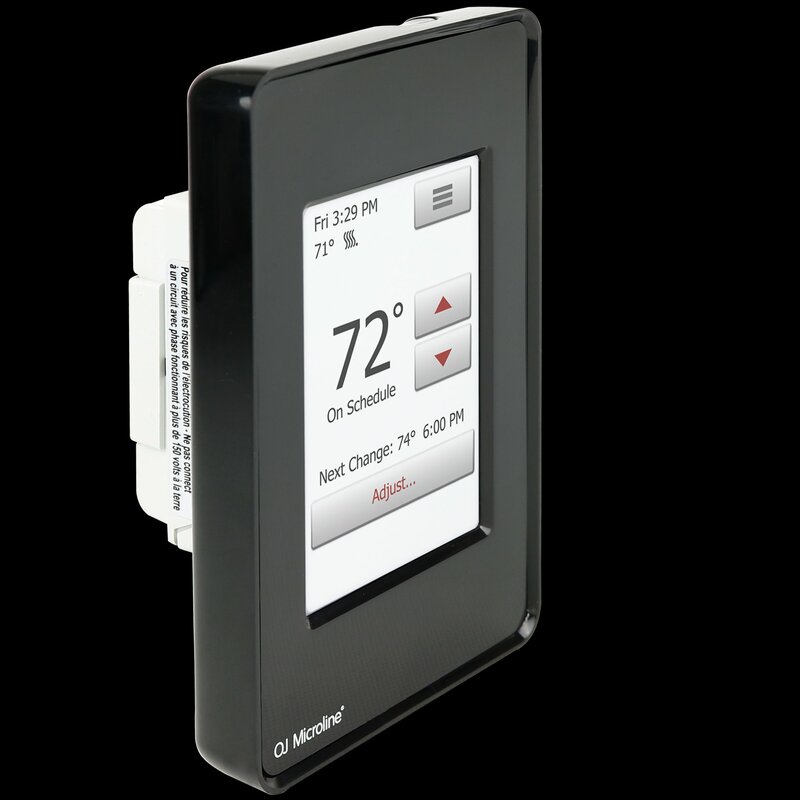 With its crystal-clear 3.5” full color touchscreen display, the nSpire Touch is as easy to operate as it is to look at. 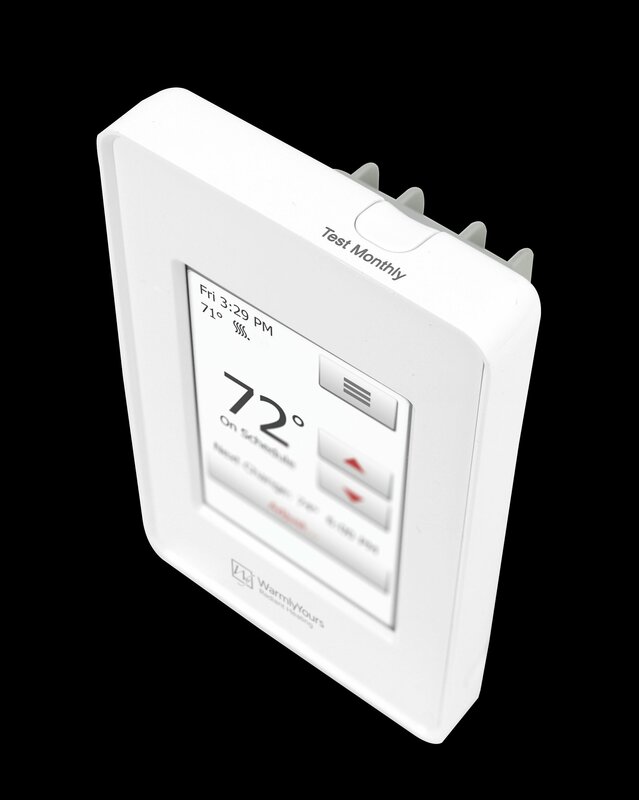 Finally, a radiant heating thermostat that looks as good as floor heating feels. This version comes with a black faceplate which can blend easily with darker walls or make a bold statement against lighter ones. 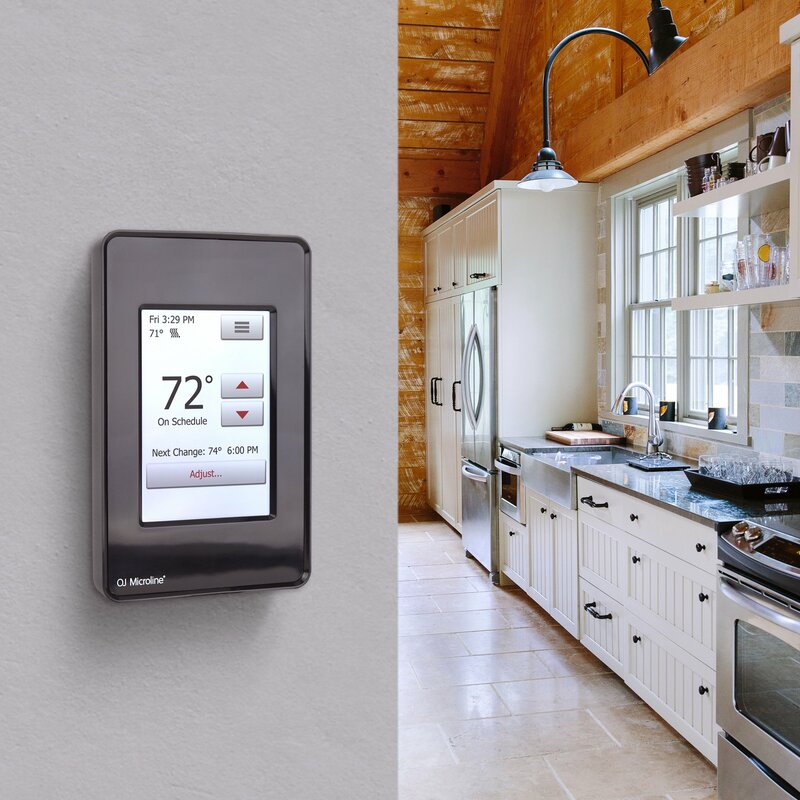 The programmable nSpire Touch features a 3.5” full color touchscreen and a modern design that instantly augments any room’s style. 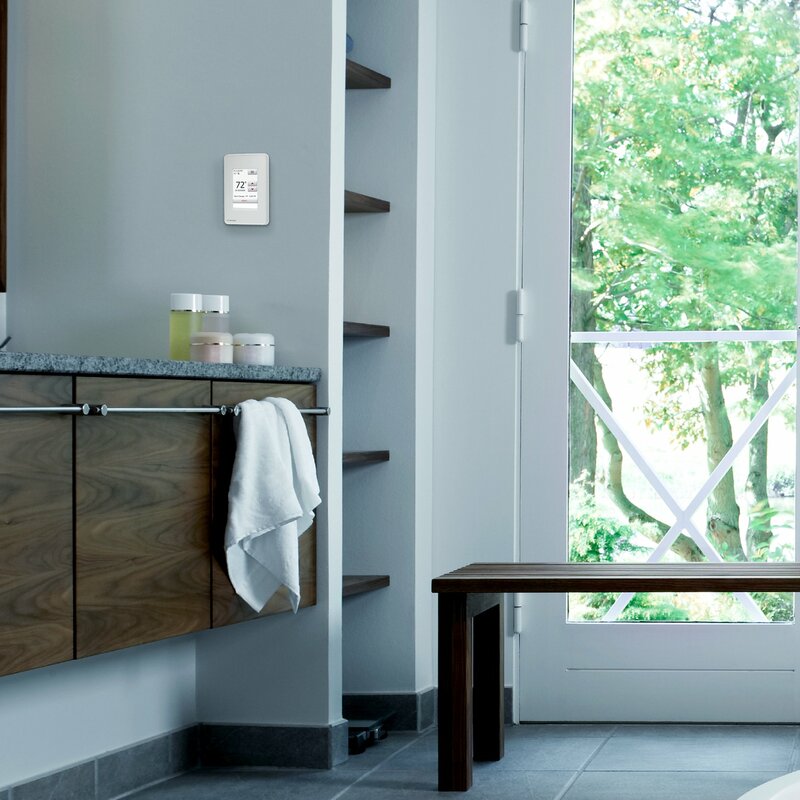 This dual voltage (120V/240V) thermostat puts the control where it belongs, at your fingertips. Includes a 10k ohms floor sensor with 15' lead. Electric Floor Heating achieved an average rating of 4.9 stars with 61 reviews by our customers. WarmlyYours was a great help resolving our thermostat issue. We had an issue with the original thermostat installed by our building contractor. We called WarmlyYours for assistance to confirm the resolution. The representative gave great assistance and provided options for the replacement part. We received the part quickly. We installed it and are very happy it is working properly again. They were a great help. Excellent experience. Received in 2 days. Excellent experience. Received in 2 days. I had difficulty installing and was able to get support on the phone. It’s functioning perfectly. Great t-stat. Very functional &amp; easy to use. Is functional enough to program multiple settings, but still easy enough to operate. 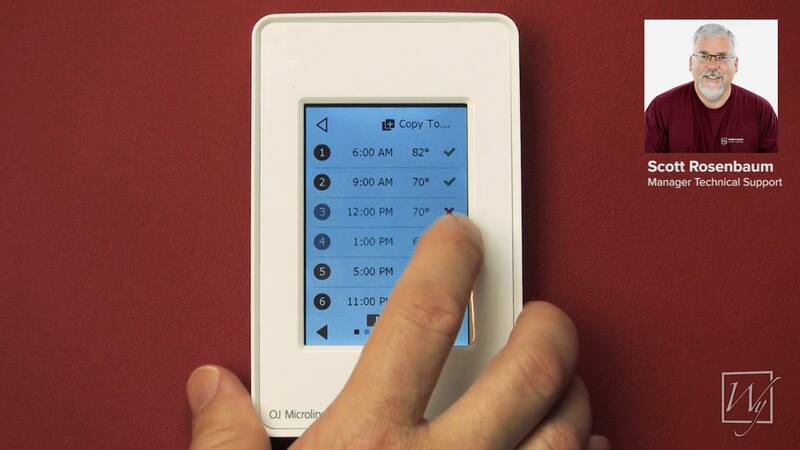 The nSpire Touch was easy to install and program. 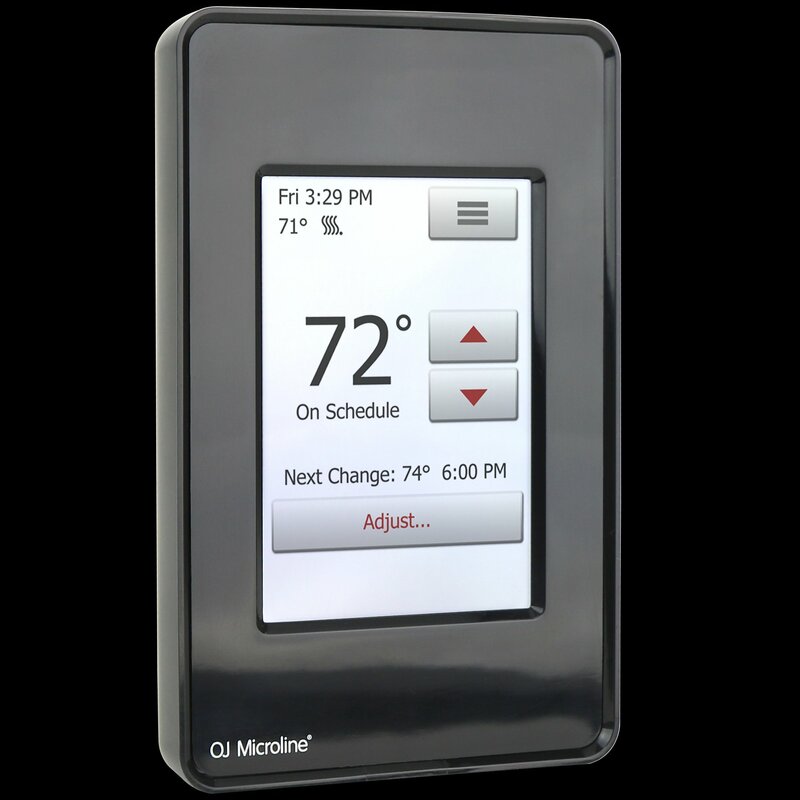 Thermostat is easily programmed for time of day and temperature. Also allows adjustment for specified time period if needed. Just make sure you read instructions and place temperature sensor as instructed making sure not to cross element! An A experience. Thank you. 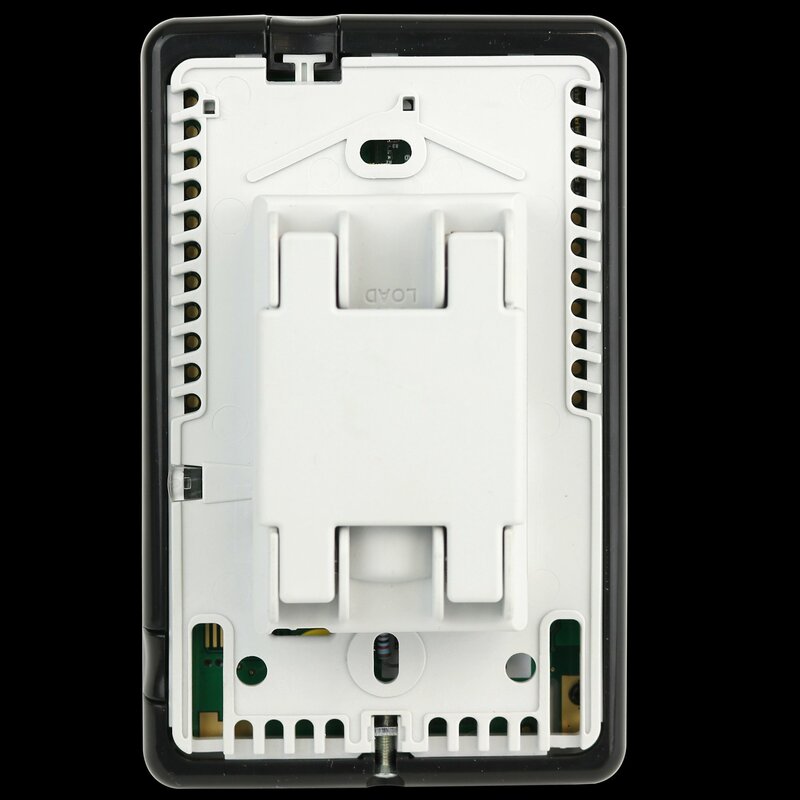 From the sales person who knew her product and provided solid guidance on the replacement t-stat to the online “how to install” video, an A experience. Thank you. 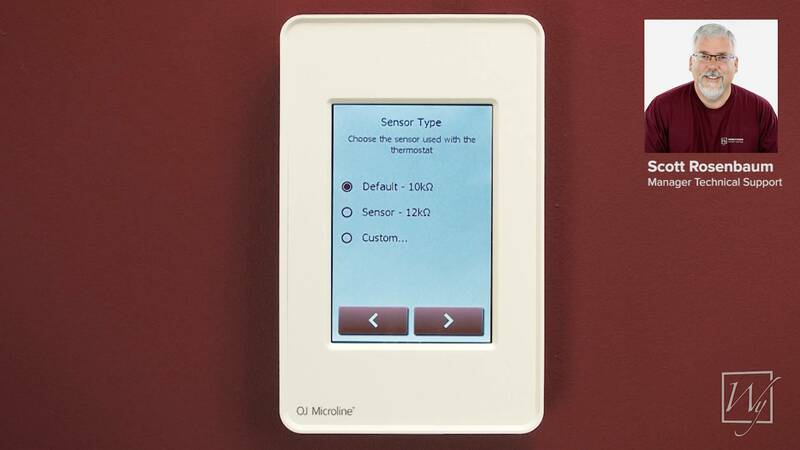 Our WarmlyYours sales representative (Ben) provided expert guidance and solid recommendations in selection of a replacement thermostat for our heated floor. The technical staff provided prompt installation support--even on a weekend. 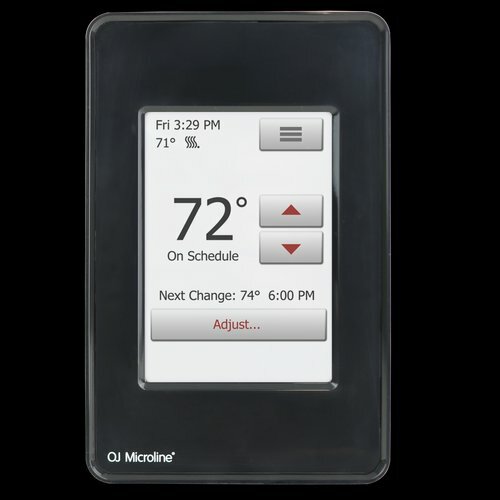 We're going back to WarmlyYours for heated floor supplies and a towel warmer for the bathroom remodel project currently underway. We needed a solution to create a warm space in a basement office that didn't require heating the whole house and cookout the chill of the concrete under the laminate flooring. 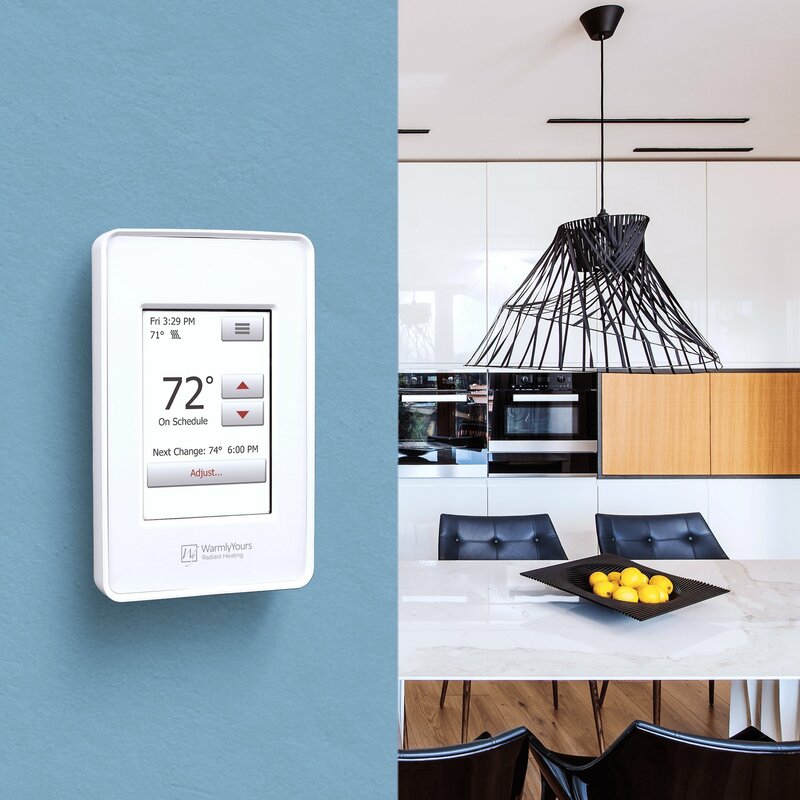 The application of a 1/4 inch cork layer with the Environ Flex Roll heating system and the easy to program nSpire Thermostat has been a perfect solution. It was easy to install, we were able to take apart the old floor, install the cork underlayment and roll out the heating mat, reinstall the laminate and wire everything with about a day and half of effort. The results have exceeded our expectations. So far the heating costs appear to be minimal on our overall electric bill. This was a replacement for my original Aube thermostat that the GFI function failed. 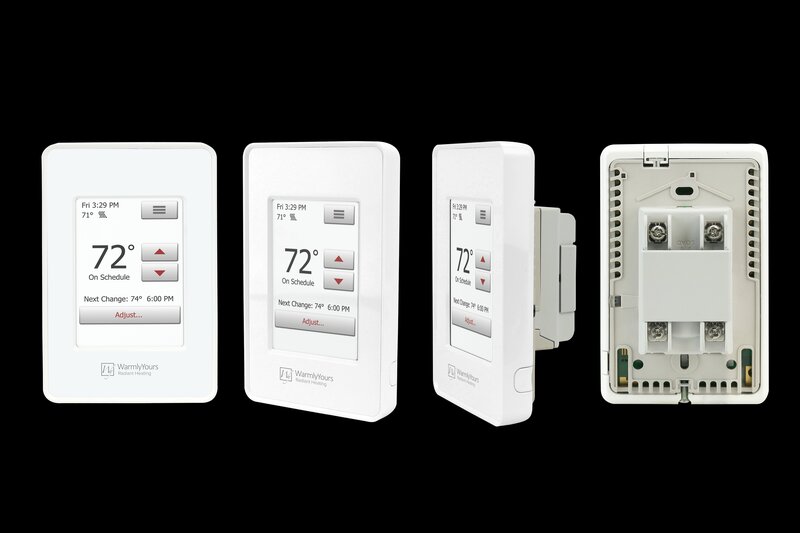 The new thermostat is much better and eliminates the need for wirenut connections, as it has a built-in wiring bus. Glad to Have My Heated Floors Back! This was a replacement for the original thermostat. I installed heated floors as part of a bathroom reno a few years ago, and didn't realize how much I depended on them until they didn't work. Matthew guided me to the right replacement via the chat function, and I appreciated the discount offered for replacements. Glad that WarmlyYours stands by its products. My only ding is that I send a follow email to the general customer service address asking whether WY has a recycling program. I'd rather do that than add the old thermostat to a landfill somewhere.